Slim Premium Collection The slim silhouette gets an update in autumnal shades of forest green through to platinum grey. Key features include rose gold metal, shearling lining and nubuck leathers to keep you on-trend this season. 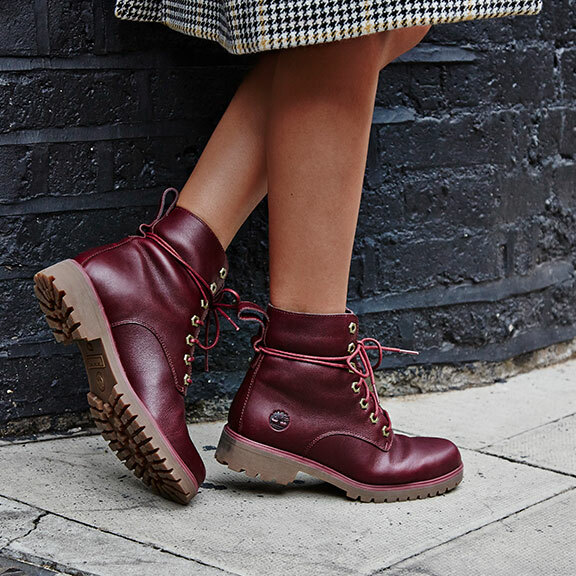 Lux Adding a premium touch to a classic style, these all-leather Timberlands, in classic burgundy and black, are your AW18 wardrobe must-haves. The rumba leather sets the premium tone of this collection. Mens Investing in a timeless Timberland silhouette is essential for any style- particularly a savvy men’s wardrobe. 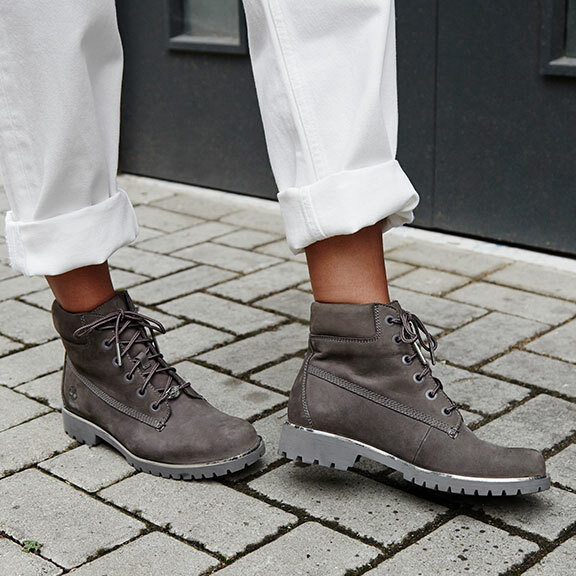 On trend and durable boots are your AW18 go-to. 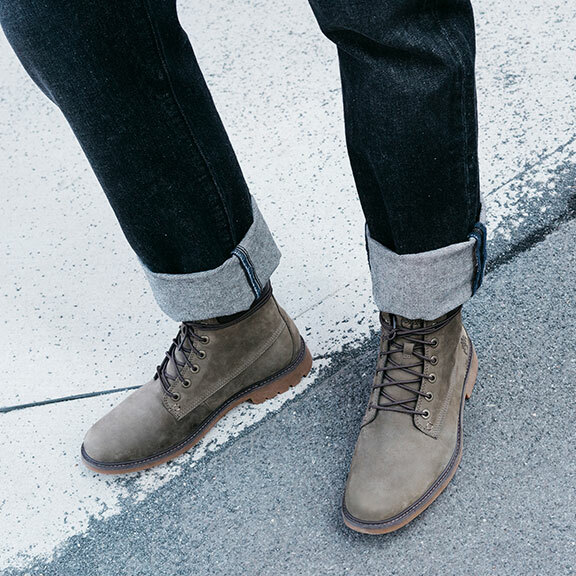 The padded collar and overall construction of the shoes are more tapered and work with both a casual to smart look. Logo Statement and repetitive logo prints are everywhere for 2018. Make an impact with these subtle yet striking styles in wheat and black. 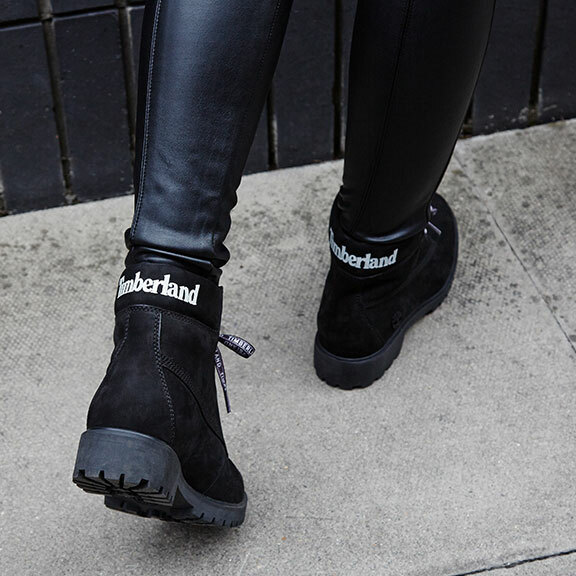 This season these boots need to be styled with quilted velvet jackets and soft leather trousers.